WILLEMSTAD – The Curaçao Hospitality and Tourism Association (CHATA) looks back with satisfaction at the beginning of this calendar year. The average occupancy rate of hotels has seen an increase in January, for example, to 73 percent. Last year the occupation in the same month was at 68 percent. Yet there is also cause for concern, the organization indicates. The situation in Venezuela is closely monitored. 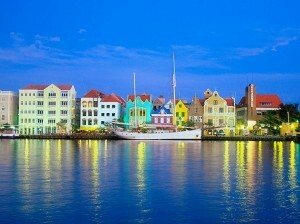 The unrest in the country has many victims, and tourism industry in Curacao will also be affected by it. Better news comes from the Netherlands, where the tourism market is recovering. CHATA is also monitoring bottlenecks in other markets. Tourists from the United States can find their way to the island, but have fewer flights per week at their disposal. The organization will look, together with Airport Authority CAP and the CTB (Curaçao Tourist Board), at how the capacity can be expanded.